Reis Pritchard is a contributor at Techerator and will be attending NDSU for Computer Engineering in the fall. He enjoys drumming, skiing, and playing with the latest tech toys. It’s very likely you will be surrounded by loved ones with itchy camera trigger fingers this Christmas. The amount of picture-taking will be incalculable, as everyone is locked and loaded with gigabytes to spare on their cameras. But after the party is over, and the ‘awkward smile’ pictures are removed, you will be left with a handful of great shots. It’s no big chore to share your pictures via email, but it’s not the most sophisticated way to distribute them either. So, you may ask, what are the tech-savvy using to share their family photos this holiday season? A new web service called Min.us. Min.us is making some noise and may even upset the current king of photo sharing simplicity – imgur. Min.us boasts a two word motto: “Share simply”, and it allows you to do just that. 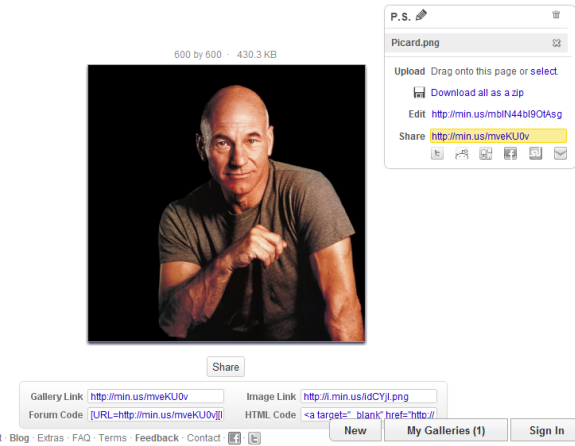 The site cleverly uses drag and drop, right onto the web page, which is a first for any image sharing service I know of. It also automatically creates a “gallery” of the images you have dropped into your browser, making it easy to rename, delete, rearrange and share your pics. After sharing the gallery link, your recipient can choose what pics they want from the group and then download just those pics into a zipped file. Neato! Oh I DID make it so. Additionally, min.us allows for all the same things as other popular sharers, like linking to a single image, and has support for JPEG, PNG, GIF, BMP, and APNG file types. Near the picture’s direct link you’ll see the dimensions and file size – it’s like everything you need to know, right there on one page! Probably the most notable feature of all is the way min.us uses an effective navigation system which is controlled either by click, or by using the directional keys for skimming through the gallery pictures quickly. The only restriction is that images are limited to 7MB, so the biggest challenge of sharing your photos might be explaining to grandma how to compress those holiday memories from her new 12 megapixel camera, ha! Update: Since writing, there have been more updates like the option to file browse OR to just drag and drop. Follow site and blog updates here. The DivX team hopes to impress again, providing users with the highest quality video for their PC – this time taking aim at YouTube and other top video sites. Some big features the DivX Labs are working into their newest web player are support for MP4 and MOV files, HTML5 support, and interoperability like decoding of H.264 video in Firefox. 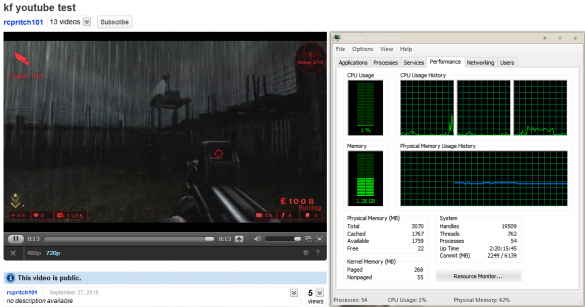 Another thing the team is excited to announce is DXVA, or hardware acceleration support for playing videos online. This DirectX acceleration should take a considerable load off your CPU and put your graphics card to work instead (see my own test below). So, what does all this mean for you? The goal is to offer your machine the best possible online video playback, and even control over some common metadata elements (like those nasty YouTube ads). 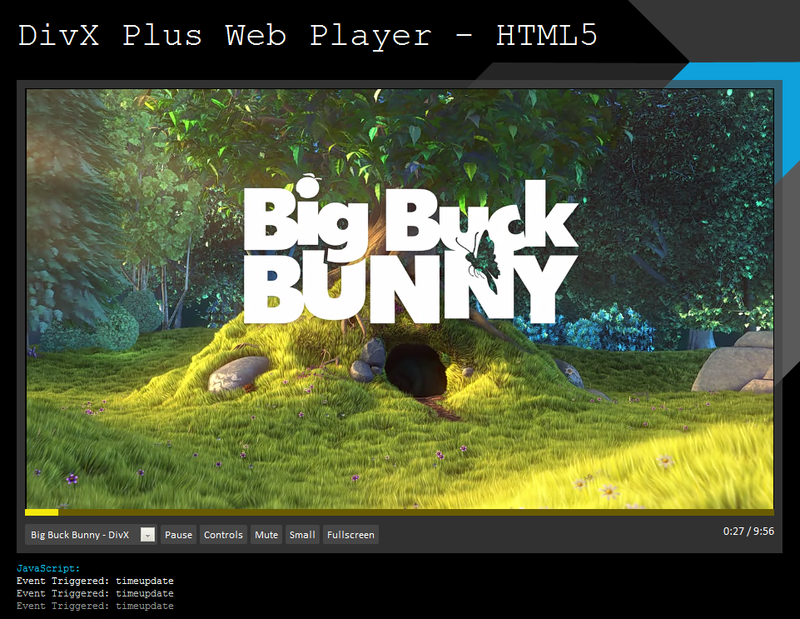 However, what you should know before deciding to try DivX’s player is that this BETA is very much a test player. DivX Labs recognizes many of the common bugs people are already experiencing and assures users those problems will be handled effectively in a full release. In my personal opinion, DivX has made some big steps in improving web video, though I sometimes wonder if it’s worth my download time. I get the popular “buffer hang at 0%” whenever I try to load an MP4 file, and the player has crashed both Firefox and Chromium browsers, several times each. Many other strange bugs and oddities are prevalent in the current player, but like I said before, you’re really downloading a test product with this BETA. The good news is that (for the most part) the HiQ web player does work, and the improvements being made really leave me anxious for a solid build in the future. 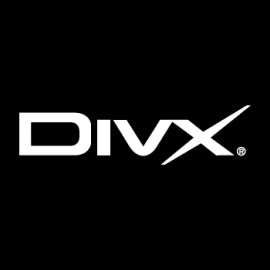 DivX welcomes those who download the BETA to provide feedback in their forums. Everything I’ve already mentioned, including more info on the player, can be found right from the DivX Labs main page with an HTML5 demo (below) and currently-supported sites. To download the current 2.1 BETA build now, click here. Never before has a website been so blatantly obvious and honest in it’s function. HowSecureIsMyPassword.net asks that very simple question; it’s response is something more or less dramatic, depending on what you type in. The capital letters are kind of goofy, but it definitely works with the site’s straight-forward approach to telling you how secure (or insecure) your password may be. Wrong. The website is entirely safe to use, for your personal benefit only. The creator, Mark Wales, assures you won’t be in any trouble in using the site – and he confirms your safety with the same light humor that the base page gives off. 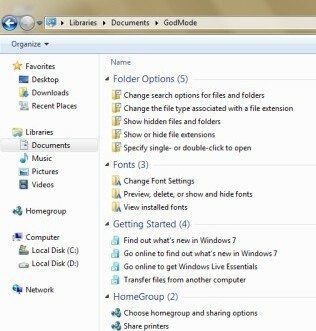 Some are calling it the “ultimate control panel”, but what does the new, secretive Windows 7 ‘GodMode’ do? The foxy-sounding name is a little deceiving, because as far as we know, it is exactly what people are calling it – a glorified control panel. However, that goes without saying how useful this feature actually is. The folder icon will turn into the standard control panel icon, and once clicked will lead you to a place full of control panel options. Anything from adding a printer to changing your display options can be found, all in one place. The panel allows you to collapse and expand the options, according to how they appear in the normal control panel. 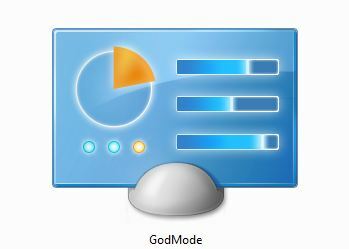 GodMode has also been said to work fine in Windows Vista 32-bit, but some are reporting a crash after trying it on their 64-bit versions of Windows Vista. So, Windows Vista x64 owners, please try this at your own risk! 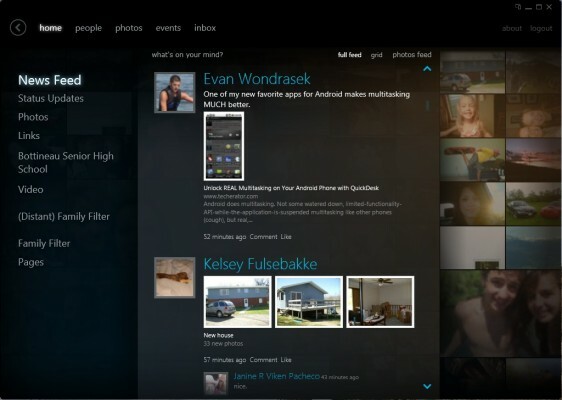 Currently, Microsoft isn’t releasing any details on the feature. Drawing has been a medium for communicating ideas since the beginning of time, probably because of it’s simplicity. That’s the idea behind FlockDraw. 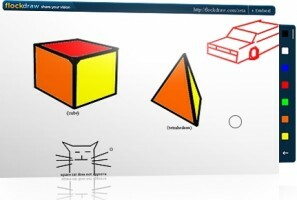 FlockDraw is an amazing online application from Dan Blake (a founder of the equally simple TinyChat.com) and Ryan Hile. The purpose is to bring collaborative, real-time drawing to the internet. 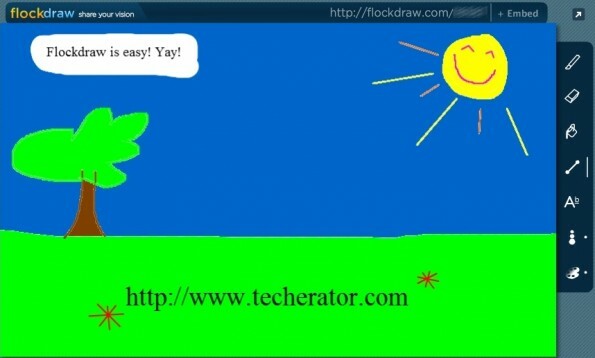 Like TinyChat, FlockDraw allows you to jump right into the action without the need to register or remember yet another username and password. You simply click “Start Drawing” on the home screen, enter a nickname (or optionally log in using your Twitter info), and begin doodling. FlockDraw presents you with a virtual whiteboard and tools sidebar with integrated navigation. The vertical sidebar gives you 7 basic tools to choose from, including Brush, Eraser, Bucket/Fill, Line, Text, Brush Size, and Color Chooser. To navigate through the different tools’ options, click on the icon and the navigation quickly pops in and out to show you the different sizes that can be used. To get back to the original set of tools, you click on the given ‘back’ arrow. To add more people to your whiteboard, just copy/paste the URL and send it to a friend or embed the whiteboard within your favorite website to share with everyone. When somebody joins, you will see their brush tool move around in real-time as they assist you in drawing. FlockDraw doesn’t have a limit on how many people can watch, but caps the amount of drawers to 50. The application is meant to be quick and disposable – once the last person leaves the room, that whiteboard is gone. FlockDraw is still working on a few small changes, but will retain it’s easy-to-use interface. Fullscreen mode is currently in an experimental stage with known issues with WebKit-based browsers. For updates on the project, follow FlockDraw on Twitter @flockdraw. Half Life Mod ‘Black Mesa’ to Release This Year? Gamers have been very patient regarding the release of Half Life 2: Episode 3, which is expected to be the final installment of the Half Life saga. If you’re a big Half Life fan eagerly waiting for that installment, I unfortunately don’t have any special news to report. However, if you’re looking for something to fill the Half Life void until the release of Episode 3, you might be in luck. There’s been questions lately about the Black Mesa (previously Black Mesa: Source) modification project’s plans for release. While the Black Mesa website still mentions that they are committed to releasing in 2009, it is unknown what the schedules are for the developers. Last November the Black Mesa team released a trailer for their mod showing some gameplay and cinematic scenes from the game. The aim of the mod is to completely convert the original Half Life game using a newer build of the source engine. The team is committed to paying as much attention to detail as possible to revive the original game, and by the looks of the trailer alone, they have done some seriously good work. It should be known that Valve has already remade Half Life in the form of Half Life: Source back in 2004, but the ill-famed game fell flat and was considered a very poor remake by the Half Life community and the Black Mesa team. Like most other mods, the Black Mesa mod will be completely free of charge for anyone who already owns a source engine game (for a list of games that fulfill this requirement, click here). If you don’t already own a Source game, consider picking one up such as Half life 2 so you can continue the story after playing through Black Mesa. 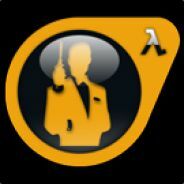 Half Life 2 can be purchased on it’s own, or as part of several different packages on Steam. Edit: The Black Mesa team has announced they were unsuccessful in meeting the 2009 deadline. You can read the explanation in the Black Mesa forums here. To see updates and to stay informed on the release of Black Mesa, follow their twitter page @BlackMesaDevs. There was never a negative response to that question when I was younger. GoldenEye 007 is always the first game that comes to mind whenever I get into a nostalgic conversation about how awesome the Nintendo 64 was growing up. Kids my age had birthday parties that revolved around sitting in front of a 32-inch, square television, killing one another in a video game. It’s one of the most memorable games I’ve ever played, and helped make the Nintendo 64 console a huge hit. Now, I can relive some of that same fun at home on my PC, for free. GoldenEye: Source is a project that has been in the making for some time now. It is currently in a 3.1 Beta stage, and hasn’t had any recent updates since. Having said that, is incredibly robust and is not lacking in any way. I have been having a blast playing GoldenEye: Source in my spare time, and haven’t experienced any bugs yet. The gameplay in GoldenEye: Source is just the same as the first: frantic, chaotic, and severely unbalanced. I still find myself aggravated at anyone who wields the golden gun in the game, which in turn only brings back more and more fond memories. Team GoldenEye: Source has done a fantastic job of keeping the foundations of the game the same by holding their focus on improvements to graphics, controls, and porting the game over to the generation that fell in love with it. Getting GoldenEye: Source requires very little. The only thing you need is a copy of Half Life 2 for PC (a game running Valve’s Source engine). Half Life 2 is sold through Steam for a reasonable price, and is often on sale through Steam’s “Weekend Deals” promotions. It’s a fun, popular game with dozens of other mods besides GE:S available to download for free. If you already meet this requirement, then head on over to the GoldenEye: Source website and begin downloading the mod. It’s well worth your while if you ever enjoyed playing the 007 game as a kid. It’s unfair in today’s world to give a game like this a review score, especially one without a price tag. I can only write this in an FYI kind of way, and hopefully attract some more players to the relatively unknown mod. I recommend if you loved the game as a kid to definitely check it out, even if it’s just to remember the kind of classic gameplay it provided. And don’t forget to let us know what you think in the comments below! Logitech is a big name when it comes to PC accessories, so looking for a headset with their name on it was what introduced me to the Logitech ClearChat Pro USB Headset . I read through dozens of reviews for this headset, and collected the same basic good and bad points from each website. Now that I’ve had the chance to use the headset personally, I will provide you with a thorough and unbiased review. The first thing I noticed about the headset was that it seemed quite comfortable to wear, even for extended periods of time. The ear padding swivels and turns slightly on the center point and is made of a soft leather material. The band connecting the headphone speakers is also covered by a leather material, so it’s not just hard plastic pushing against your head all the time. Comfort is significant because I consider this product to be a mid- to high-range gaming headset. In fact, I bought the Pro USB headset specifically for the purpose of being able to use it while I play multiplayer PC games online. After gaming for 2 hours or more, I did notice that my ears eventually felt a little sore from the pressure of the headset, but I think this goes for anything strapped to your head for a long period of time. Looks were not important to me when choosing this headset, but I was pleasantly suprised that it has a sleek, dark appearance. The leather not only makes the headband more comfortable, but also improves the overall aesthetics. At first glance, you can tell the ClearChat Pro headset is made of quality materials that won’t fall apart easily. The microphone boom appears to be strong and doesn’t dangle like so many other headsets do. The boom is made of the same quality plastic as the rest of the headset’s frame without any edges that lead into the receiver itself, furthering the cool look of the headset. From what I can tell, there are three slightly different models of this same headset. The one I have is the style in the picture below. It’s volume controls are located on the cord of the headset, which gives you your increase/decrease and mute microphone options. On the other models, the volume and mute controls are on the outside of the earpiece itself, which retains the modern look of the headset. The features of this headset are what set it apart from others in the same price range. The ClearChat Pro USB couldn’t be easier to install; the USB plug-in is all you need to begin using the device. It supports plug-and-play for Windows, so you don’t need to install any additional software or drivers to begin using it. Your USB port serves as the typical microphone/audio inputs for the headset, and Logitech’s laser-tuned audio drivers run the audio through that one USB port, freeing those mic/audio inputs for other devices. When you’re using the headset for purely audio (like listening to music), you can swing the boom up so that it is parallel with the headband. This keeps the mic out of the way if you just want to listen without disturbing other people nearby. The ClearChat Pro USB also features an equalizer for optimizing sound quality to fit your preference. This is located next to the volume controls on the right side of the headset. One feature that is in the newer wired and wireless headsets is the way in which the microphone mutes. You are able to mute the microphone simply by swinging the boom up and out of the way, whereas you must press a button next to the volume controls on the older model. In all three models, a red light indicates whether or not mute is enabled. Obviously, if you buy the wireless headset, you’re getting exactly that. It features the same USB plug-in but with a built in 2.4ghz wireless receiver and slightly different looks. Overall, the audio quality should match (or come very close to) it’s wired counterparts because it uses the same laser-tuned audio technology. Finally, here’s the most important aspect to consider when buying a headset. While the ClearChat Pro isn’t the cheapest headset, it certainly doesn’t boast the audio quality of something Bose brand headphones would produce. In most reviews, the main complaint people had was that the audio quality wasn’t as good as they had hoped. My opinion is that those reviewer’s expectations were set too high. The audio quality for gaming was surprisingly good. In games such as Left 4 Dead and Crysis, I heard things that my standard computer speakers wouldn’t allow me to. 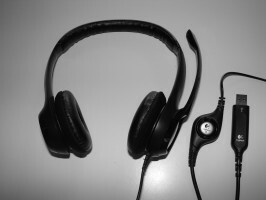 This headset reproduced a 3D environment that the game intended (i.e. zombies running in front and behind me matched with the actions on screen, as well as explosions and bullet ricochets). 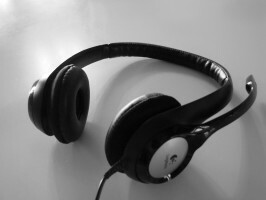 Listening to music was mentioned as a weak point for the ClearChat Pro. In my opinion, the audio quality beat anything I’ve owned previously, given that I have never spent more than $50 on headphones. Bass and mid-range were excellent for rock and jazz in particular. I could tell that things in the high-range like repeated cymbal crashes or guitar solos sounded a little “airy”, especially if I had the volume cranked up. But overall, songs sounded pure and bold, with emphasis on the low-range bass tones. In the product description, the ClearChat Pro says it features a noise-canceling microphone. I went out of my way to test the mic by putting a full-sized fan on high as I recorded myself reading. I was surprised at how well the mic filtered out the wind and picked out my voice. By adding a small sponge material I found on an old headset, I almost completely eliminated the noise of the air rushing past as I spoke. I thought the microphone performed quite well, and projected my voice clearly without any crackles or pops. Budget gaming mic/headphones and PC calls such as Yahoo!, Skype, AIM, Windows Live Messenger, etc.